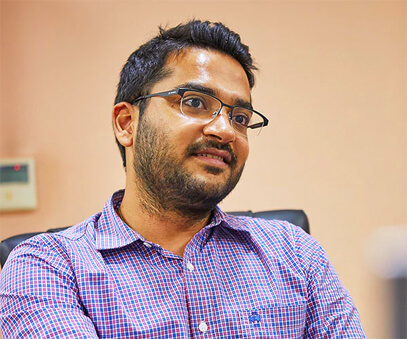 Aparna Constructions is a reputed Constructions & Real Estate company in south India with a vision of transforming lives, landscapes and living habitats of people. Mitsubishi Electric Solutions for Air Conditioners & Elevators was chosen for Aparna Sarovar Grande, the 1st IGBC Platinum rated high-rise building in Telangana & Andhra Pradesh. Aparna Sarovar Grande is located in Nallagandla, a suburb to the north-west of Hyderabad that functions as an ideal satellite town, with schools, hospitals, supermarkets and stations all located nearby. As a Special Economic Zone, this region is home not only to major Indian companies (e.g. Infosys, Wipro, Tata Technology), but also major global IT companies (e.g. Microsoft, Google, Analog Devices). 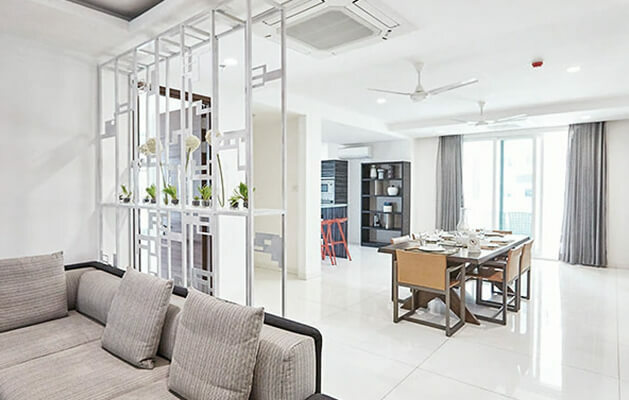 To offer a better lifestyle, this residential estate construction began in the region, encompassing everything from Mid-size apartments to luxury homes. Aparna Sarovar Grande is a Premium Green Estate, a complex of 20-storey apartments in nine blocks that was completed in 2016, targeting management-class people working in the BFSI Industrty and their families. The builder of this project is Aparna Constructions, the largest construction company in Hyderabad. 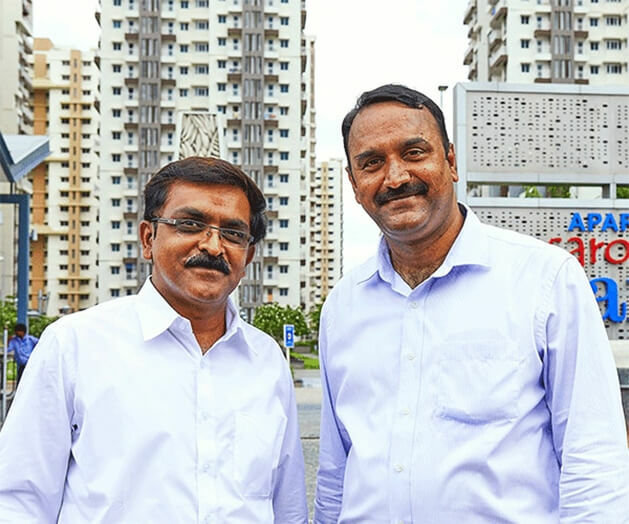 With a company slogan of “Quality, Transparency, On-Time Delivery,” Aparna Constructions has achieved many firsts in its construction projects in Hyderabad and the total area of residential estates it has constructed to date extends to 18 million square feet. The company also works to realize a “Sustainable Planet” and it was on this basis that it sought to achieve IGBC Green Home certification for Aparna Sarovar Grande, Nallagandla. 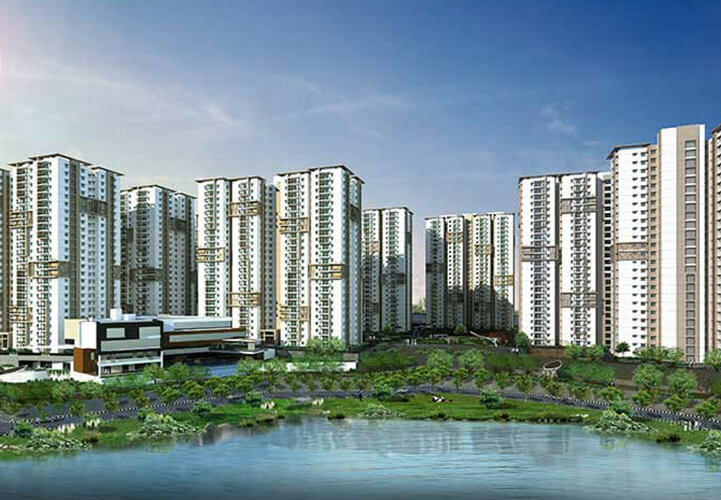 with the aim of being the first platinum rated high rise project in the estates of Telangana and AP. The IGBC rating system was developed by the U.S. Green Building Council (USGBC). It is an internationally recognised program acknowledging high standards in environmentally-friendly building construction. 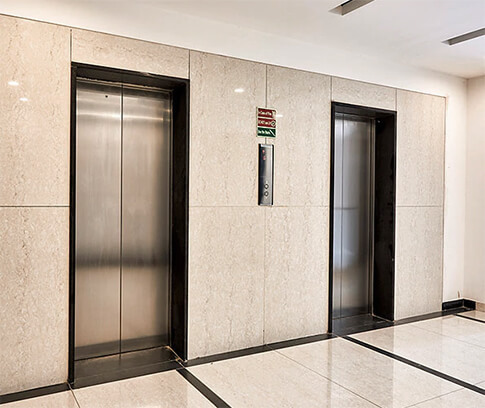 With this target in mind, when selecting a partner for Elevators and Air Conditioning unit, it was only natural for Aparna Constructions to choose Mitsubishi Electric instead of other partners that had initially been considered. The single biggest reason for selecting Mitsubishi Electric was its Power Saving Products, which enabled Aparna in meeting energy efficiency credits under the rigorous IGBC certification scheme. Furthermore, Mitsubishi Electric is also known in the industry for its wealth of experience in large-scale project management and recognized as a premium brand. It was indeed the case that Mitsubishi Electric successfully cleared all challenges that tested its project management skills in the installation process. One of the challenges in this project was the space constraints for indoor/outdoor units (IDU/ODU). 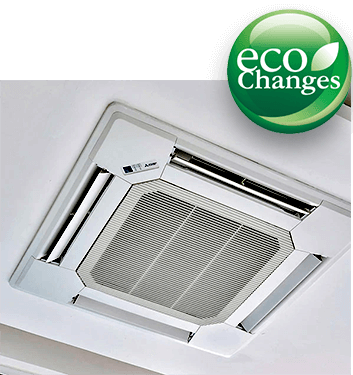 To ensure interior comfort of the flats in this residential estate eight indoor Air Conditioners are installed. 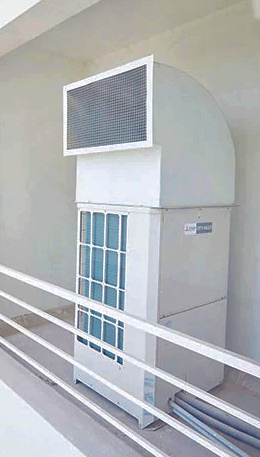 The eight indoor Air Conditioners are all operated through the VRF CITY MULTI, a compact outdoor unit (see photo), which solved the challenge of space constraints. 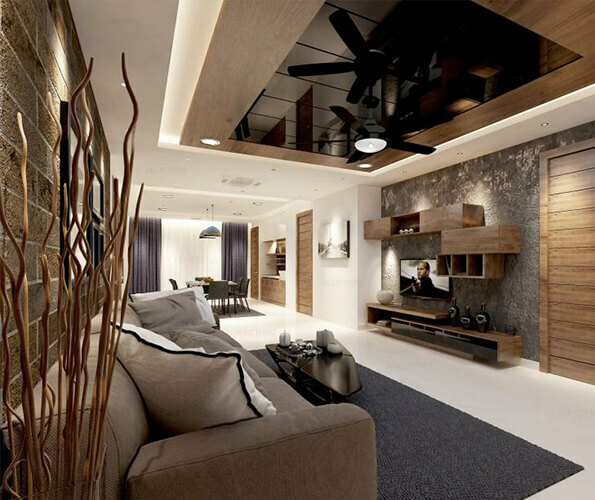 Furthermore, five different types of IDUs were used depending on the indoor ceiling height, and by utilising a heat-release pipe construction in low-ceiling flats, to ensure satisfactory ceiling heights for all occupants. Efficient ODUs were installed on all balconies in the 20-storey building. Another challenge was the necessity to adhere strictly to the time line. Mitsubishi Electric was required to ensure on-time delivery in a short delivery time frame for both the installation of energy efficient NEXIEZ-LITE elevators in all nine towers and the energy efficient VRF CITY MULTI units in Tower A. Together with power saving, strict compliance with delivery times is a vital requirement for Aparna Constructions and Mitsubishi Electric responded to these requirements as a top priority. Aparna Constructions and Estates Private Limited announced that Aparna Sarovar GRANDÉ, Nallagandla has been awarded IGBC certification at the ‘Platinum’ level. The project was rewarded for green measures, including use of recycled building materials, daylight control on light fixtures and low flow plumbing to save water besides, other measures in the exterior like vegetation growth. Aparna constructions continues to focus on building more green projects and Mitsubishi Electric is also receiving repeat orders from Aparna. After sales quality – All three factors are important to get trust and repeat orders. Mitsubishi Electric is a Building Solution Company involved in many large-scale projects for real estate, office buildings, hotels and schools across India, contributing to the successful acquisition of Green Building Certification, and leads many projects to success through “collaborative sales and the effect of energy efficiency”. Mitsubishi Electric continues to meet various demands of greener buildings in India and around the world, to enhance occupant health and well-being. Aparna Constructions is the leading real estate company in Hyderabad with over 21 years of engineering excellence and has over 10000+ satisfied customers.